It was a day like any other day. In fact, it was, and is today. The sky was bright, the sun was high in the sky and nothing was wr– oh HOLD UP. 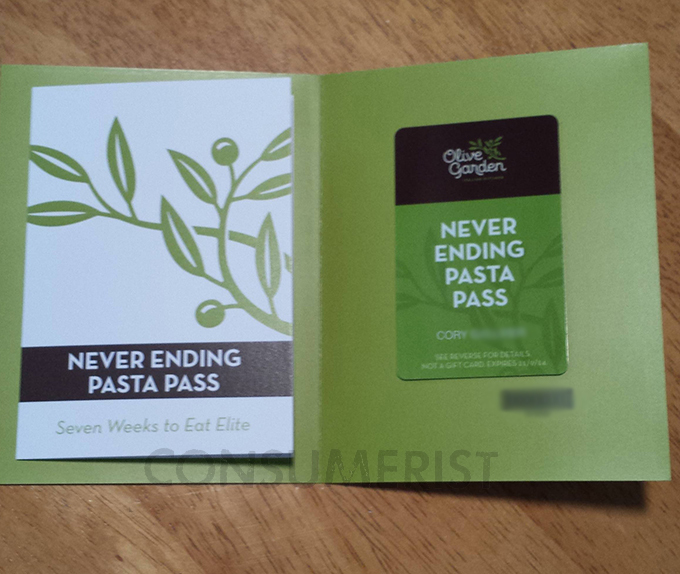 One of our readers got a neverending Pasta Pass from Olive Garden and thinks that we should be in thrall to him? Uh uh. 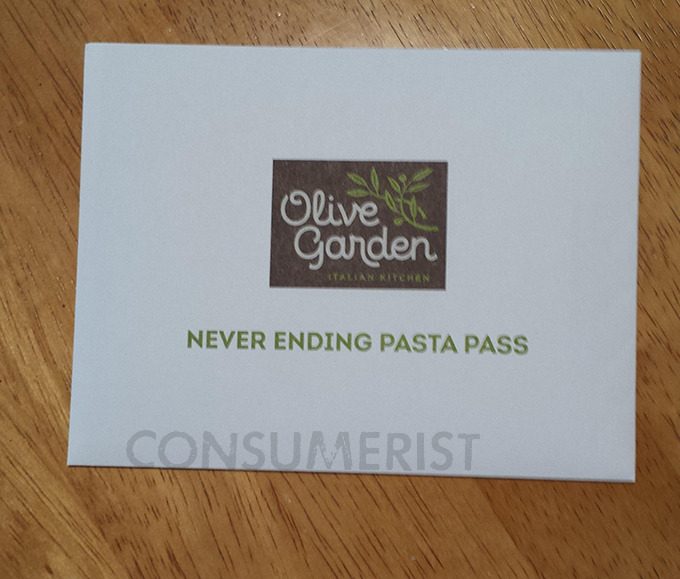 This is a Consumeristocracy, pal. Power mad Cory wrote in with photographic evidence and a subject line that immediately made his intention to crush the world under his pasta-eating boot heel like he would a lowly ant who has no free pasta completely clear. 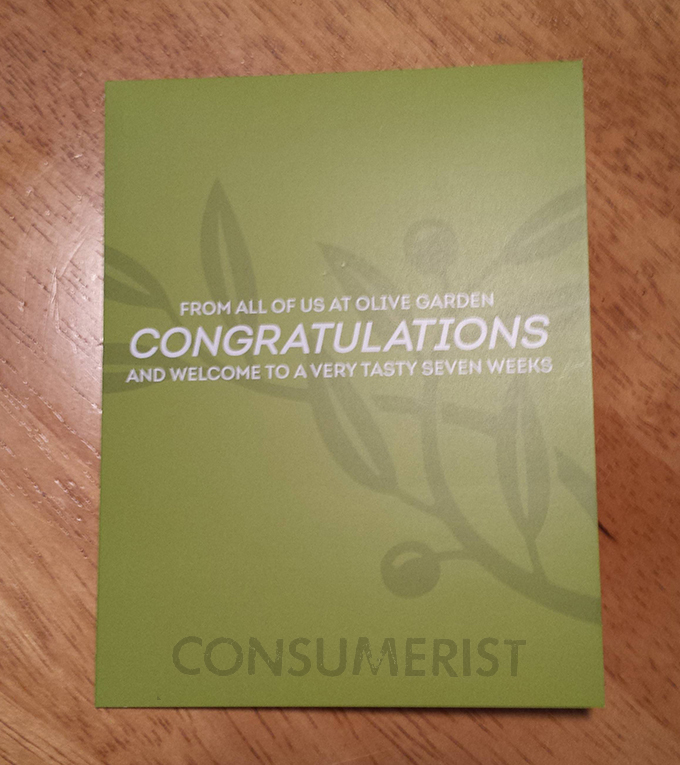 “Prepare for jealousy, Consumerist…,” Cory taunted us, before fulfilling the inherent threat in that subject line with his aggressively concise challenge to side with him, or suffer the consequences. It is madness to utter such things, Cory. MADNESS. 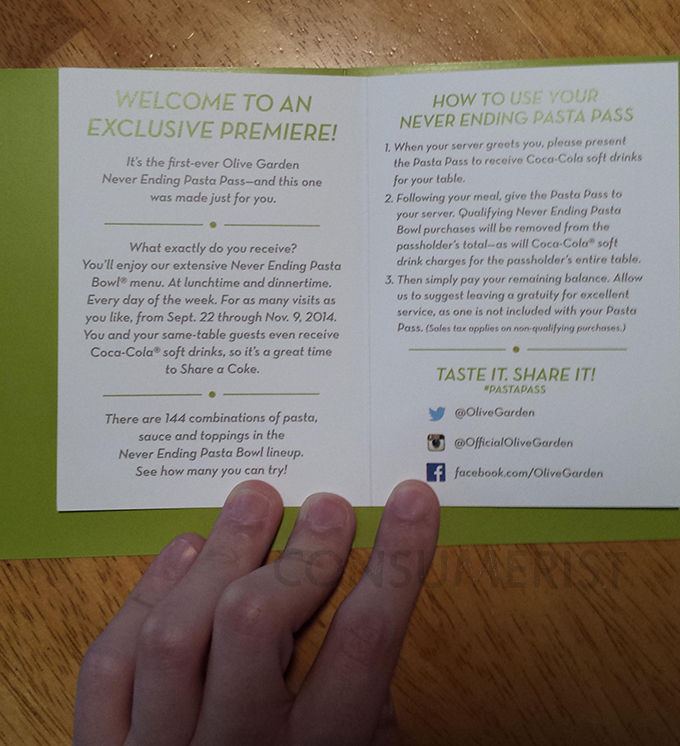 We take no freebies, accept no ads and we certainly cannot be bribed with bottomless cups of soda and unending access to bread sticks. That being said, your email made us laugh and your use of “vassals” is much appreciated.